CASCADIA EVOLUTION DD15 AT 477HP/10SPD! 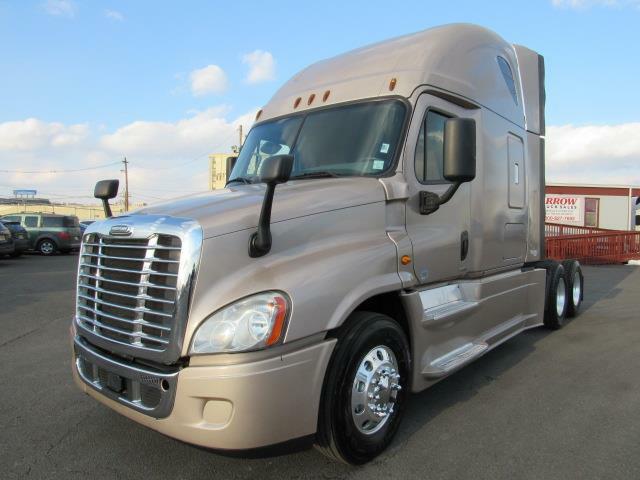 This raised roof spacious double bunk sleeper with lots of storage comes with the strong and reliable Detroit DD15 engine at 477HP and easy to downshift Eaton Fuller ten speed manual transmission. Collision Mitigation System keeps you safe, hood mirrors to reduce blind spots, easy access outside jumpstart posts, deck plate with step and load bar rack, all alum wheels, tire chain rack, easy clean rubberized floor, plush dual air ride seats, fog free heated power mirrors, power windows, sound/light reducing privacy curtains to let you rest in peace, diff locks and ATC to get you out of snow/mud, hands free phone connectivity with USB/AUX, XM capable, fan in bunk, trailer toggle brake, fresh PM service and Federal DOT inspection, Arrow Free limited warranty, come on in for a test drive now!